The Whaley House in San Diego is among the most haunted places in the country. Why is this unassuming building in Old Town such a paranormal hub? 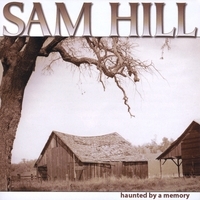 Music: "Haunted by a Memory" by SAM HILL available at CDbaby. Doug Sammons and Jeff Smith of the bluegrass band SAM HILL for allowing us use of their fantastic tune “Haunted by a Memory”. House. And I’d say that’s probably true. In addition to being the first two-story brick home in San Diego, at various points in history the building has housed a granary, the County Court House, San Diego’s first commercial theater various businesses including Thomas Whaley’s general store, a ballroom, a billiard hall, a school and a polling place. Now known as California State Historic Landmark #65, it has been said that the house has "witnessed more history than any other building in the city". Most people agree that it has more ghosts than any other building in the city too. From Yankee Jim to the Whaley children and untold numbers of unidentified specters, this building seems to be a hub for wandering spirits. And for decades, tourists, staff and celebrity guests alike have been recounting their first hand experiences with the haunting of the Whaley House. 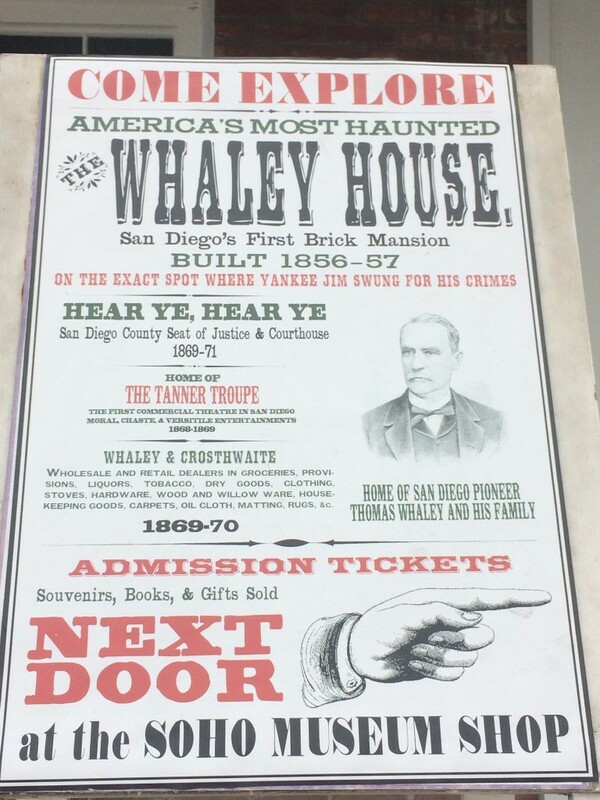 The Whaley House Museum is currently owned by the County of San Diego and operated by Save Our Heritage Organization. It sits right n the middle of Old Town San Diego, easy to overlook among the dozens of shops and restaurants. But there was a time when the house THE star attraction of San Diego. Thomas Whaley, a businessman and real estate developer, bought the property with a big idea to build a brick granary. Now, Thomas Whaley also owned a brickyard, so this was not as expensive of an undertaking for him as it would’ve been for someone else. Whaley thought that building the granary from brick would make the building impervious to rats keeping the grain and supplies safe to store long-term. He added a two-story residential section (also brick) the next year. Whaley as a visionary. He bragged: "My new house, when completed, will be the handsomest, most comfortable and convenient place in town or within 150 miles of here." But while the home was beautiful, and one of its kind – it was far from rat resistant and it failed as a granary because of it. So, the large room meant for grain was turned into a variety of other things over the years, most famously the San Diego County Courthouse. Given the high foot traffic the house received, it is probably shouldn’t be surprising that it is known for having an equally high number of ghosts. But even before the house was built, before the granary – this property had an association with death. In fact, before Thomas Whaley purchased the land, the city used the property as the site of public hangings. That leads us to arguably the Whaley House’s most famous resident ghost: Yankee Jim. The earliest documented ghost at the Whaley House is “Yankee Jim”. James “Santiago” Robinson was French Canadian miner convicted of attempted grand larceny in San Diego in 1852. He was hanged on gallows off the back of a wagon on the site where the Whaley House now stands. According to a 1873 article in the Los Angeles Herald, Yankee Jim stood six feet, three inches tall and was physically imposing. Apparently, he had a history of bad behavior before his arrival in San Diego, and he certainly looked the part – so the respectable people of town shunned him. In the summer of 1852, Yankee Jim and two companions stole a canoe from the San Diego harbor, which they rowed up the coast a small ways before abandoning it. That’s really the whole story of the crime. But the canoe belonged to Joseph C. Stewart and Enos Wall - who found their canoe a few days later, washed upon the beach a couple of miles down the coast. How they knew Yankee Jim was behind the boat theft is anyone’s guess, but Stewart and Wall pursued justice for being wronged, and this pursuit resulted in the grad larceny charge for which Yankee Jim hung. Now, Yankee Jim thought, right up to the moment he was swung off into eternity, that they would not really hang him for so trivial of a crime. He was so certain that the judge would eventually wave it all away, that he had not even objected to the fact that Stewart and Wall – the two men from whom the boat was stolen - were sitting on the jury. He assumed they would not be too hard on him, after all – they’d gotten their canoe back and it was none the worse for wear. A Roman Catholic priest was called to the jail by the jailer to attend to Yankee Jim’s spiritual welfare - but Jim continued to deny that he was actually going to require any emergency intercession on the church’s part. The gallows consisted of two beams planted in the ground with a heavy bar across the top, again, on the very spot where the Whaley House now stands. On September 18, 1852, Yankee Jim was brought to this doomed location in a wagon from the jail he’d resided in for the month since his guilty verdict. Two Catholic priests accompanied him and did their level best to convince him that his time was near and to impress on him with the Importance of being prepared for his future state. A team of mules guided by a driver was attached to the wagon. Upon reaching the gallows, the priests departed the wagon and it was driven under the waiting noose. Yankee Jim stood in the back of the wagon and the hangman’s rope was adjusted around his neck. Yankee Jim gave a short speech to the large crowd that had gathered. He said had been a good man and that he had given piles of gold to help poor men. The executioner stood on the ground near the wagon and listened patiently to Yankee Jim's story until it was exactly a quarter of three o'clock. He then ordered the wagon’s driver to drive on. The local San Diego newspaper reported that Yankee Jim “kept his feet in the wagon as long as possible, but was finally pulled off. He swung back an forth like a pendulum until he strangled to death.” Subsequently Yankee Jim’s two accomplices in the grand larceny were tried by the very same jury, and sentenced to the State Prison for a year. They never returned to San Diego. ghost of “Yankee Jim” haunted the old house.” A visitor to the museum in 1962 mentioned that “the ghost had driven her family from their visit there more than 60 years earlier – and that her mother had been unnerved by the phantom walking noise and the strange way that the windows unlatched and flew up.” Even today, workers at the Whaley House Museum report seeing a large, gruff man looking down on them from the top of the stairs – a man they believe to be Yankee Jim. 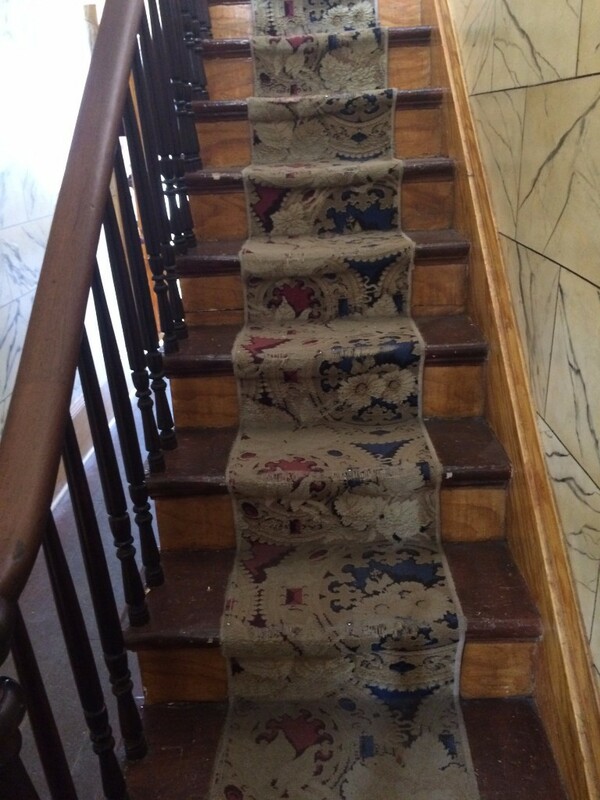 Visitors to the museum regularly feel something odd touching the backs of their necks – and their throats constrict – as they go up and down those same stairs. And on a few occasions, visitors have found themselves bearing red marks along the sides of their necks – like rope burns – before exiting the museum. in late 19th century Victorian society. Violet and George's divorce was finalized approximately a year later, but Violet never recovered from the public humiliation and betrayal and suffered from depression. Violet began depressed and attempted suicide in the summer of 1885 by attempting to drown herself in her family’s cistern. Though the family had been concerned about her, she had been seeing a doctor for depression, the day of August 9, 1885 began as any other. Violet’s sister Lillian had seen her at about 6 in the morning, her normal time to rise, get dressed and begin the day. Violent then left the house and went into the back yard into the privy or watershed. During this time, their father Thomas Whaley was also outside tending to their animals. He attempted to use the watershed but found it occupied. He had a brief verbal exchange with Violet at that time, mostly to ascertain how long she’d be. But her answers were vague and monosyllabic, so Thomas opted to use a different privy, then he went back to his chores. After several minutes, Thomas came back into the house looking for Violet to share a peach. When Lillian and their mother said she was not there, Thomas became concerned and went back to the privy where he called out Violet’s name… and then the mother’s. It was then that the shot rang out. Lillian and her mother raced down the stairs to find Thomas walking to the house, carrying Violet in his arms. She was covered in blood, having shot herself in the chest. Violet had been planning her death for at least several days if not longer. A few days prior, she’d asked her father for a set of his keys - among them was a key that opened a box containing his revolver. Having the keys and making sure her mother was otherwise occupied, Violet had gone to her father's room, removed the gun and placed it in a cabinet in an adjoining room. She had been covering her tracks with her family for each morning since by getting up and going outside for half an hour and then coming back in. She was purposefully creating a new habit that would stop arousing suspicion from her family after a few days. On the fateful morning, Violet went down as had become usual and – as she had planned - her sister and mother thought nothing of it. As Violet left the house, she passed through the room where she’d concealed her father’s revolver; she picked it up and went outside to the privy. Anywhere, anywhere, out of this world. Some believe that the spirit of Violet Whaley haunts the house today. In her life, Violet had been a passionate musician. 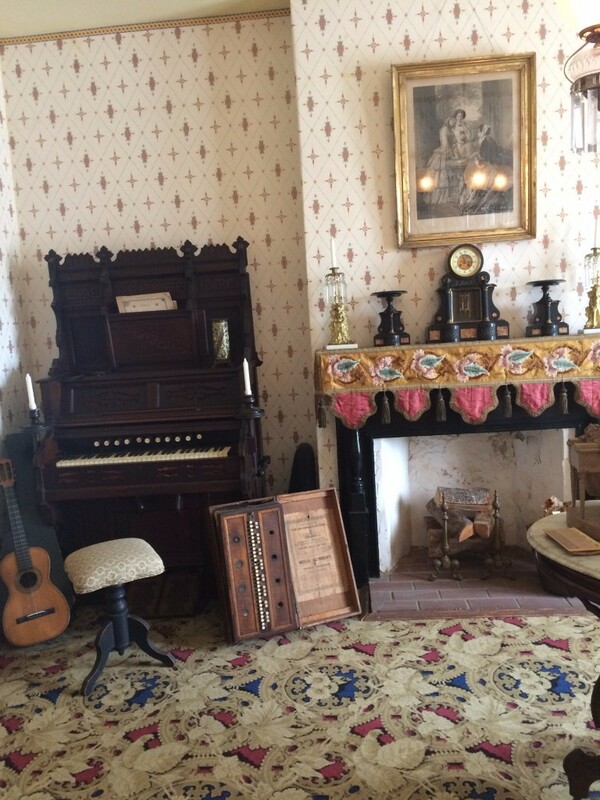 Today, an organ sits in the Whaley House parlor, and there have been claims that it occasionally emits tunes with no player. Many say that the player is actually Violet, gravitating to one of the few things in her life that brought her joy: music. Violet’s parents Thomas and Anna Whaley are both believed to also haunt the house, perhaps because their daughter Violet is still there. June Reading, a former curator of the museum who has since passé on, enjoyed telling the story of little girl visitor to the museum who was 5 or 6 years old at the time. She waved to a man she said was standing in the parlor. .. But neither June Reading nor any of the adults in room could see him. “But often” Ms. Reading has said, “children’s sensitivity is greater than adults’.” …However, many adults HAVE reported seeing the apparition of Mr. Whaley, usually on the upper landing. One said he was wearing an old coat and pantaloons, but his face was turned away so that it couldn’t be made out. The whole apparition quickly faded away altogether. August 18, 1856, but lived only eighteen months before succumbing to rheumatic fever. There have been reports of hearing a baby’s cry from other rooms when no children are in the house. Some have even claimed to see an apparition of the infant lying in cribs or on beds. The Whaley House is so haunted, it even has ghost pets! A parapsychologist once reported seeing a spotted dog, similar to a fox terrier, running down the hall, ears flapping, towards the dining room. The dog, he claimed, was an apparition. And, in fact, when they lived in the house, the Whaley’s owned a terrior named Dolly Varden, and a spectral canine of similar description has occasionally also been seen by children who tour the home. But the spirits inhabiting the Whaley House don’t have to be family member, family pets nor do they even have to have lived there. For instance, one of the spirits often said to inhabit the home is that of Marion Reynolds. Marion actually WAS a family member – she was Thomas and Anna Whaley's great-granddaughter. But while she certainly spent a lot of her short life at the Whaley House, and her death was very tragic – she actually did not die there, nor was she living there. In fact, Marion died tragically in Oceanside, CA in 1912 at the age of 2 as a result of the accidental ingestion of ant poison (or the remedy for the accidental ingestion of ant poison). So, it may be a stretch to identify her as one of the spirits active at the Whaley House, but nonetheless, there is something which reportedly grabs the arms of visitors as they tour the house, and it has become common to consider this the spirit of young Marion. The legend of Marion often gets conflated with another spirit – that of another young girl who is usually found in the dining room. World famous psychic Sybil Leek encountered this spirit during a visit in the 1960’s. She described her as a long-haired girl, very quick, in a longish dress. Sibyl claimed that the girl sprit went to the table in the dining room, and that she, Sibyl, went to the chair. When the dining room spirit isn’t getting confused with Marion Reynolds, it’s getting attributed to an urban legend that claims it’s the ghost of a playmate of the Whaley children by the name of Annabel or Carrie Washburn, who accidentally broke her neck on a low-hanging clothesline in the backyard. But this is just a story a previous owner of the museum made up to try to explain the dining room spirit and drum up more publicity. There are no historic records of any child dying this way at the Whaley House; nor is there record of any family named Washburn residing in San Diego at the time. So, the little girl spirit in the dining room remains unidentified. figure of a woman with a swarthy complexion, wearing a long full skirt made out of a small print material: calico or gingham. She had a cap on her head, dark hair, dark eyes and was wearing gold hoops in her pierced ears. The visitor felt like the spirit stayed just inside of that room, and so must have lived there in life. But none of the Whaley’s fit that description – though they DID have various employees live in the building over the years. Perhaps the mysterious woman in the courtroom had been one of them. As paranormally action packed as the Whaley House is, it continues to sit quiet and unassuming, easily overlooked along the tourist’s mecca of San Diego Avenue. But every day and every night visitors come from all over to tour the historic museum hoping to a get little bit more than they paid for. And since no supernatural experiences are ever guaranteed, the tour is just as fun and entertaining even if the only chill you get comes from the gift shop. While Marion Reynolds is a great-granddaughter of the original Whaleys, she did not live or die in the Whaley House. No child ever died on the Whaley property by running headlong into a clothesline. As far as is known with historical records, the Whaley property was never the location of a cemetery. There is a historical cemetery a short distance away, but it has never crossed onto Whaley property. Prior to the Whaleys' residence on the property, there were 3 public hangings held on the property. The hangings were done from beams built for that purpose and not from any of the trees found on the property. Most of the trees on the property visible were planted after the Whaleys became residents.